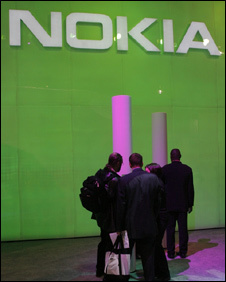 Nokia, the world's largest handset manufacturer, has signed up Sony Ericsson, NEC and Alacatel-Lucent to its plans for a 4G wireless system. The companies have formed a licensing framework for their patents for the emerging mobile standard, called Long Term Evolution (LTE). The deal will add momentum to LTE, which is seen as a direct competitor to Wimax, which is being pushed by Intel. The first LTE networks are being rolled out in the US and China. LTE is a faster and more long distance wireless system compared to 3G. Nokia and its partners believe LTE is the logical evolution of 3G systems and are selling it as a solution for mobile phones, as well as laptops and even fixed broadband connections, replacing wi-fi. The framework deal also involves NextWave Wireless and Nokia Siemens Networks. The companies have committed to keeping royalty payments for use of essential LTE patents low to give the technology the best chance of success. Intel believes Wimax will be the future of wireless communications. In a recent interview with BBC News chief executive Paul Otellini said in a year's time 10 million people would be using Wimax, rising to "hundreds of millions two years after that". "We see Wimax as the most cost-effective way to deliver high-bandwidth wireless broadband," he said. A handful of Wimax-enabled phones have been produced so far. Nokia itself has released a Wimax-enabled internet tablet but pulled out of a partnership with Intel to look at putting 3G connections onto laptops alongside Wimax.